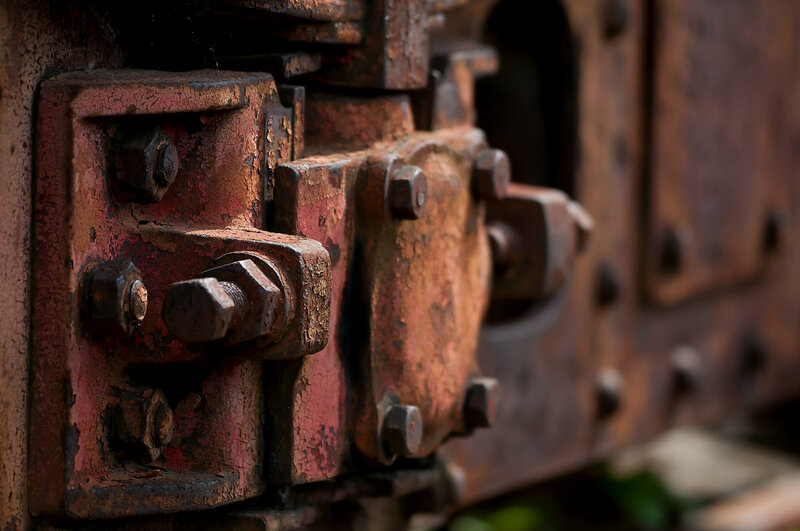 Here are a few suggestions for how you can work to keep rust and corrosion from taking hold. Certain metals, such as stainless steel, are naturally resistant to rust because of their chemical makeup. 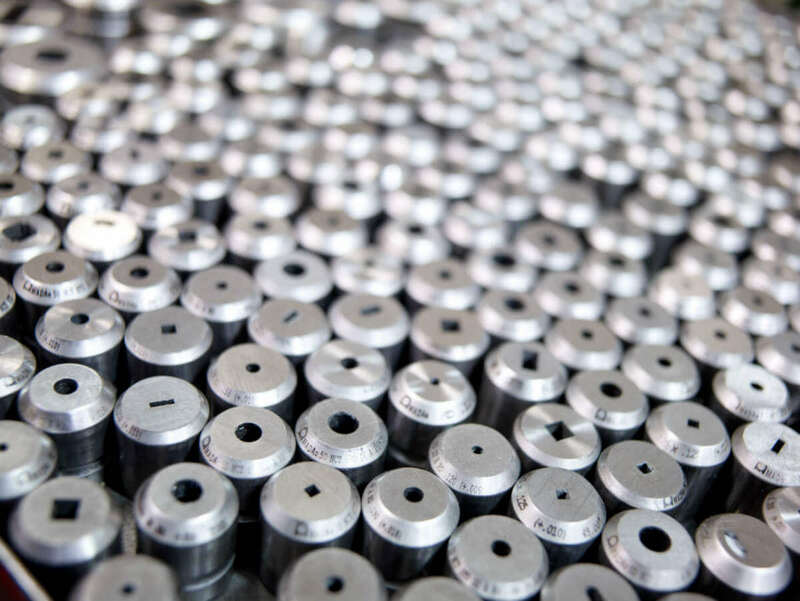 For example, stainless steels have chromium added to them. The chromium combines with oxygen to form a passive layer which protects the steel from corrosion. What’s really great about this protective layer is that it can fix itself if damaged. However, this does not mean that stainless steel is completely impervious to corrosion as exposure to extreme environments (such as salt water) will cause stainless steel to corrode. This is why it’s important to weigh your options as far as what metals and materials you choose to use for the given environment in which they will exist. Another option is to use weathering steel, also known as “COR-TEN” steel. 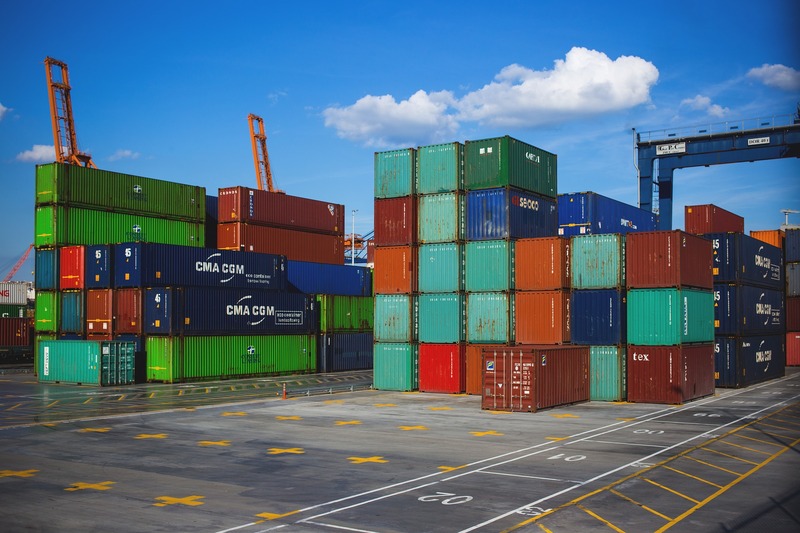 This steel contains various alloys such as chromium, nickel, copper, and phosphorus that create a protective patina that can greatly reduce the rate at which corrosion takes hold. 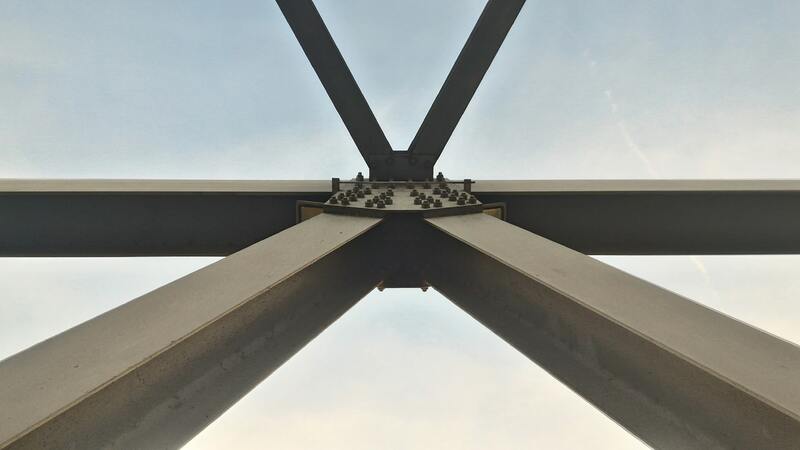 Aside from choosing a corrosion resistant metal, a lot can be accomplished to combat rust through smart design. No matter the structure you are creating, make sure to limit the number of cavities and crevices in which water could easily collect. 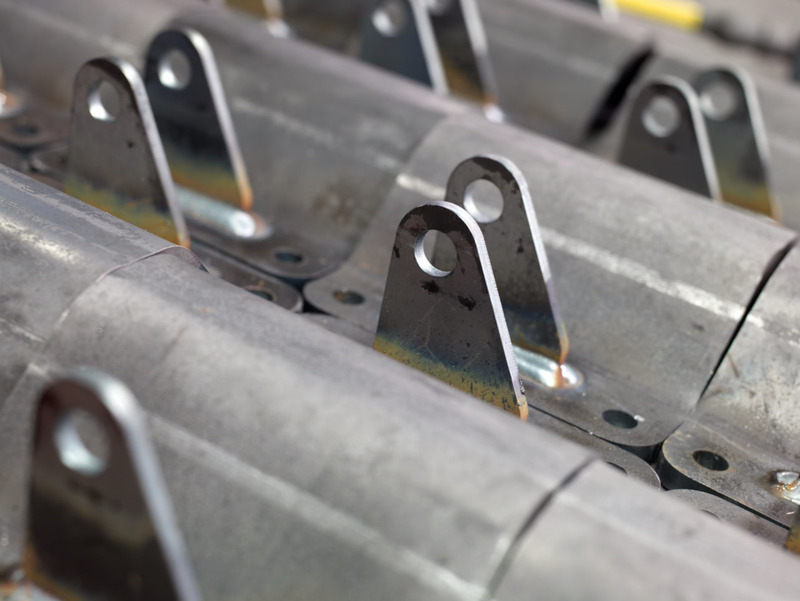 It is better to weld joints than to bolt them together as water can penetrate the spaces underneath bolts and washers and eventually cause them to fail. You should also prioritize making all spaces open to make future maintenance as easy as possible, so rust can be addressed as soon as it is discovered. Painting is a great, low-cost way to protect against rust. The paint forms a protective barrier between the metal and corrosive elements. Oil-based paints are the best choice if you are trying to prevent water and oxygen from penetrating the metal and causing corrosion. Keep in mind that you will have to regularly monitor the quality of the paint. As soon as the paint chips or becomes damaged, the metal underneath will become more susceptible to corrosion. Another great option to protect your piece is to have it powder coated. This is the process of applying a dry powder via spraying and then heating it, so it forms a thin, protective film. 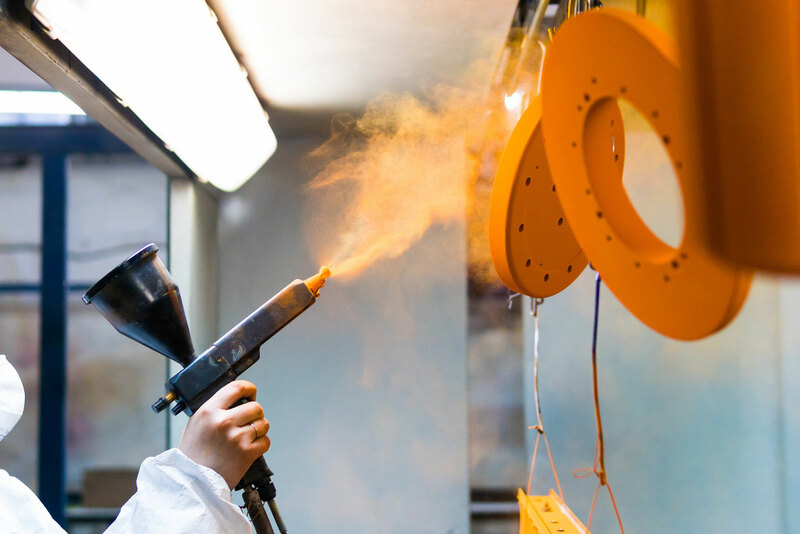 At Superior Steel Fabrication, we offer powder coating services and have a 16,000 square foot facility with a full automated conveyorized line to handle all the powder coating needs of our clients. Make sure to contact us about any powder coating or metal fabrication questions you have!